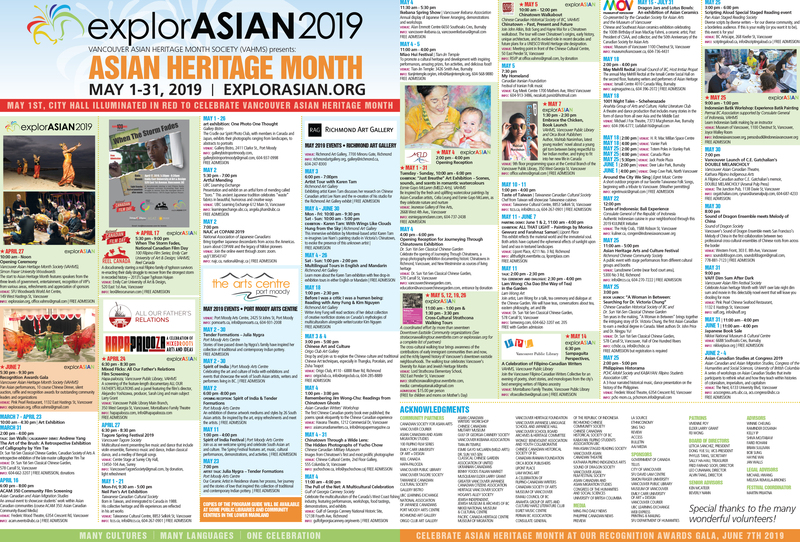 In celebration of Asian Heritage Month, the City of Surrey will be holding a selection of exciting programs at the Surrey Museum. Watch students from the Academy of Martial Arts display their martial arts skills. Learn about amazing Asian animals and make fun Asian crafts. Listen to traditional Chinese instruments, and watch as the Sudnya Dance Academy presents the Bharata Natyam Indian dance. Learn about Asian culture and history with local groups from the Southeast Asian Cultural Heritage Society, Surrey Philippine Independence Day Society, Taiwanese Canadian Cultural Society, and Dragon Boat Canada. Discover the ancient art of Mongolian acupuncture with Mike Lang of the Health and Vitality Clinic. Chat with Professor Michael Howard about Southeast Asian textiles.